We are a top-notch organization, engaged in providing 12" LED Temperature Control Brass Shower Head. We are offering High Pressure Shower Header For Paper Industry. We provide Brass shower head with quality matreial & varity of sizes. Also with CP finished and different knurling design on it. This Brass Shower Head is use for Handheld shower. Fusing impressive design and durable construction, the Shower head is the perfect way to update a small shower. Add multiple shower heads to create a soothing, spa-like experience. 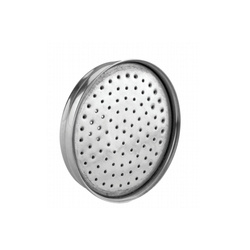 we are renowned manufacturers of Shower Head. - Pull chain is MS galvanized.